How do I get a helicopter pilots license? To become a pilot, you'll establish a relationship with a helicopter instructor. 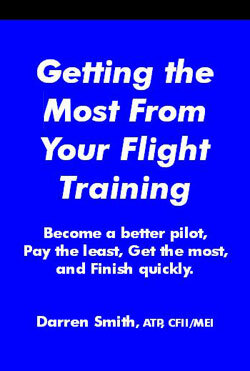 You will do some flight training, and some ground training. Flight training consists of actual flying, such as practicing takeoffs, landings, autorotations, steep turns, and ground reference maneuvers. Ground training consists of learning things while on the ground, like aerodynamics, airplane performance, weather, and aviation physiology. After training some with an instructor, you will be able to 'solo' which is flying by yourself. You can't carry passengers when you solo, but you can go up and practice without an instructor in the airplane with you. Get started with your training with a Helicopter Pilot Ground School. Students seeking a rating are required to prove US Citizenship and Flight Instructors must examine and keep a copy of a US Birth Certificate, US Passport, or Naturalization papers. Citizens of other countries are required to register with the Transportation Security Administration prior to beginning training. Information for foreign students. What are the requirements for the Helicopter Private Pilot certificate? What is the average length of time it takes to get the Helicopter Private Pilot certificate? What if I already have an Airplane Pilot Certificate (Private, Commercial, ATP)? You'll take the helicopter instruction as an add-on rating. You are not required to take the FAA Private Helicopter written exam and the minimum number of total required dual training hours is reduced. What is the average length of time it takes to get the add-on Helicopter Private Pilot certificate?